Anthony “Tony” Keith Gwynn was born on May 9, 1960 in Long Beach, California. He was recruited to play basketball at San Diego State University in 1977. 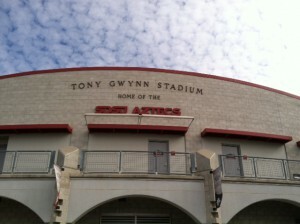 Tony eventually played both basketball and baseball at SDSU. In 1981 he was drafted by both the San Diego Padres and San Diego Clippers. 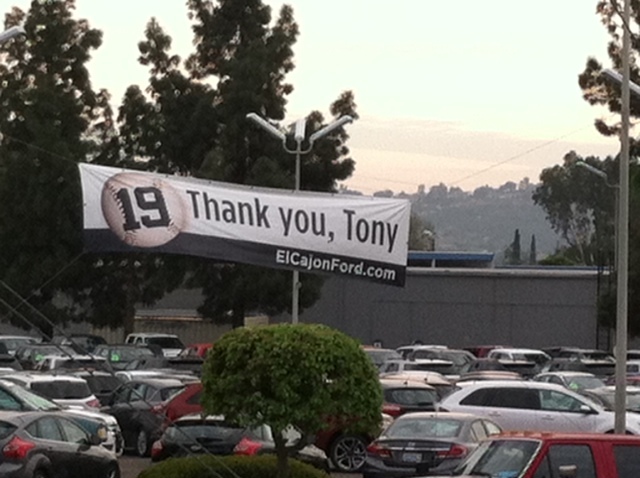 He stuck with baseball and spent his entire career with the Padres, until his retirement in 2001. He remained closely connected to SDSU becoming the head baseball coach. 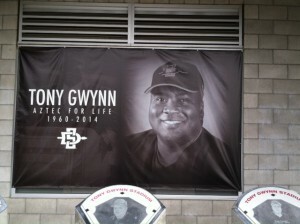 Tony Gwynn, along with his wife, was very involved within the community around San Diego. They established a foundation providing programs and services for underserved children in San Diego. Tony Gwynn battled salivary gland cancer for many years. He attributed his illness to the use of chewing tobacco throughout his baseball career. He is survived by his wife, Alicia, son Anthony Jr., daughter, Anisha, mother, Vendella, and his siblings Charles and Chris. Growing up in San Diego, Tony Gwynn was always a visible and active member in the community. For me, more so than him being a talented athlete, I respected how he held himself while off the field. When I went home to San Diego for a visit this past February, I noticed just how much of an impact Tony Gwynn had on the city. 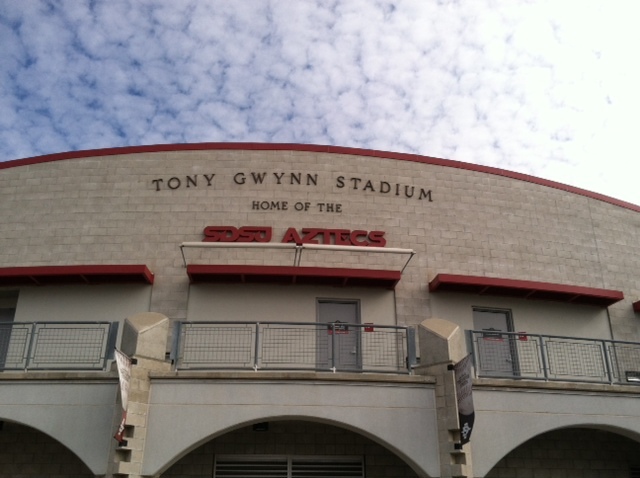 I spend some time walking through my alma mater San Diego State University and admired the baseball field and stadium named in his honor. This entry was posted in Uncategorized on May 13, 2015 by KWISE.